President Trump is open to pushing back a potential shutdown of some government operations by at least a week, in part because of the death of former President George H. W. Bush. Funding for some parts of the federal government is set to expire at midnight Dec. 7 — a deadline created months ago that now would fall at the end of a week when Washington will be focused on national tributes to the late president and services in Washington and Texas. Speaking aboard Air Force One on his way home from the G-20 summit in Buenos Aires, Mr. Trump said he's open to as much as a two-week extension. "If they come to talk about an extension because of President Bush's passing, I would absolutely consider it and probably give it," Mr. Trump told reporters on the plane, referring to lawmakers. Any vote by Congress to move the spending deadline would prolong a holiday season showdown between the White House and Congress over President Trump's demands for billions of dollars in border security funding. 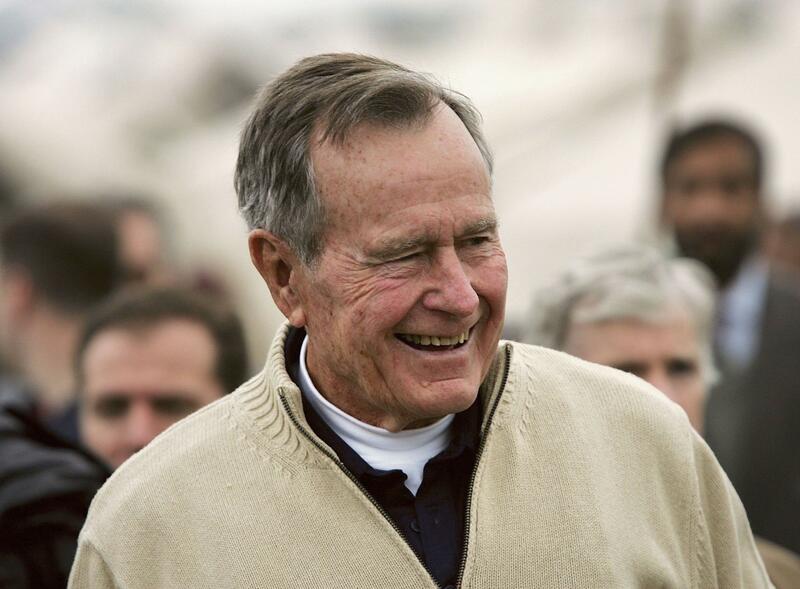 Mr. Bush, who died Friday at age 94, is scheduled to lie in state at the U.S. Capitol from Monday evening to Wednesday morning. Services are set to be held Wednesday in Washington. Mr. Trump also has declared a national day of mourning on Wednesday that will include a paid day off for much of the federal workforce as a sign of respect. Amid that pageantry, the White House and Congress remain at an impasse over Trump's demands for at least $5 billion in funding for ongoing construction of a wall along the U.S.-Mexico border. Congressional negotiators have agreed to a little more than $1 billion in funding for ongoing border barrier construction projects. But Democrats in both chambers remain firmly opposed to the larger funding increase demanded by Mr. Trump, knowing that they can continue to extract concessions in a closely-divided Senate where at least 60 votes are needed for spending legislation to clear filibuster hurdles. Congressional aides familiar with the talks, who were granted anonymity to speak about the ongoing negotiations, say the new spending deadline would likely be pushed back a week to Dec. 14. One aide said the date could be later than that. When lawmakers would vote to move the deadline is unclear. The House is set to convene Monday night while votes aren't currently scheduled in the Senate until Wednesday. Aides said that any formal plan to move back the spending deadline isn't likely to be approved until final consultations with the White House take place. That could happen as early as Sunday. A senior administration official told CBS News that the White House fully expects and anticipates a continuing resolution that would extend government funding for a week to be swiftly passed and signed by President Trump. The White House wants to avoid any shutdown drama associated with or around the funeral and national mourning and appreciation of former President Bush. Also, there is some talk between the White House and congressional Republicans to create a slightly unusual two-year Homeland Security spending bill for border security — $2.5 billion this year and a clause that would automatically go into effect for another $2.5 billion at the beginning of the next fiscal year. While unusual, the administration insists it is not without precedent. However, it is unclear whether this approach can attract 60 votes in the Senate without White House concessions on other matters — possibly including legislation protecting special counsel Robert Mueller, the farm bill and California wildfire relief, among other issues. This concept is being actively discussed in the context of averting a government shutdown after the continuing resolution expires. The Washington Post first reported news of a potential delay of the spending deadline.